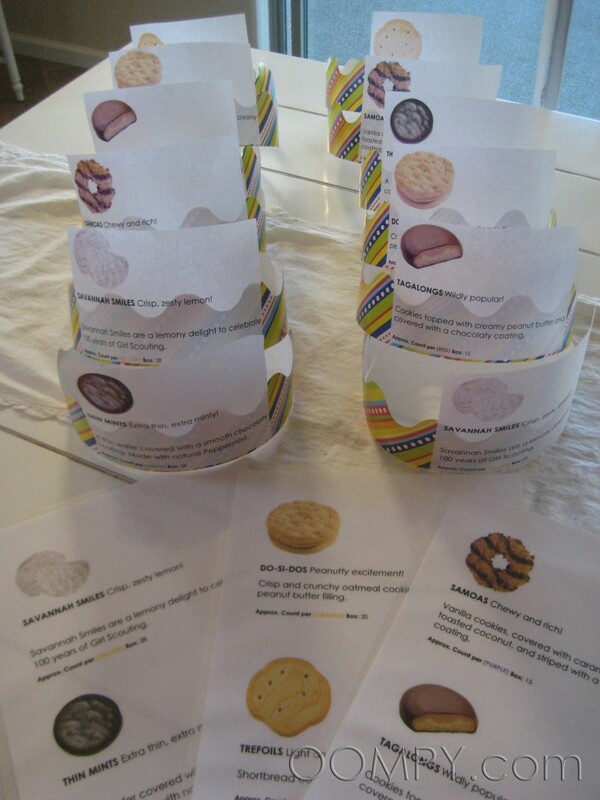 Our troop is only in the 2nd year of Girl Scouting and the girls are still pretty young…so…we put our “heads” together and came up with the “Cookie Guess” game which is based on the new “Headbandz” game. 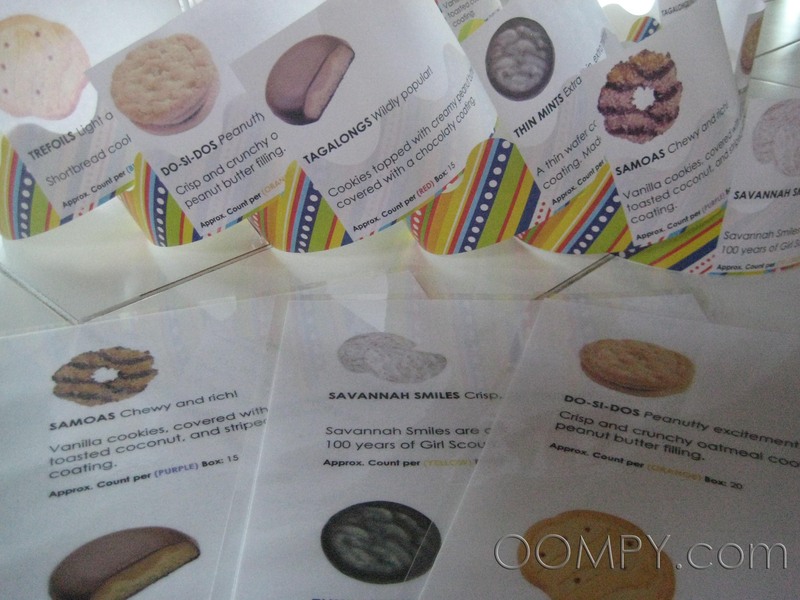 The girls have SO much fun learning the look and description of each Girl Scout cookie they will be selling. 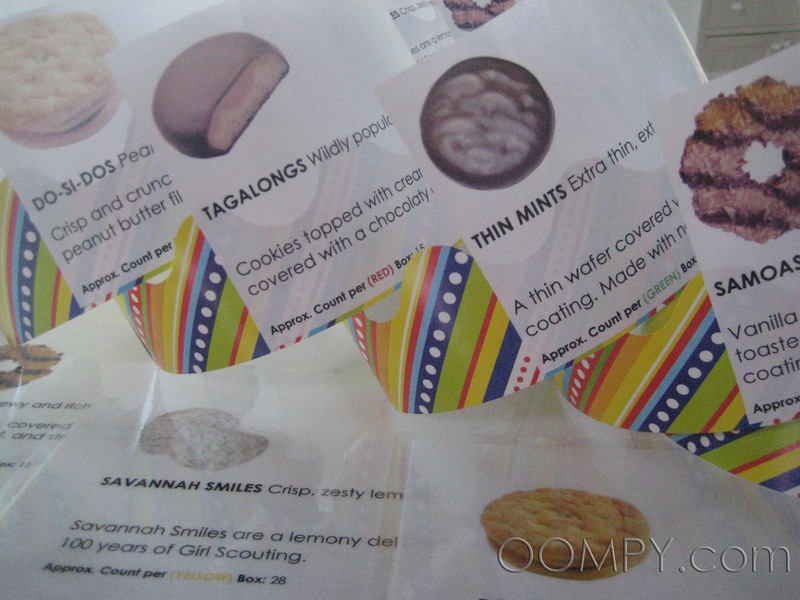 and the most favorite…Thin mints!! There are so many things you can do with Thin Mints…like…SUPER YUMMY shakes or GS Thin Mint Truffles!! There are more ideas of what to make with Girl Scout cookies here. The clue cards have 2 cookie descriptions with pictures on each card for a total of 3 cards. Ours are laminated for durability so we can play this game for many years to come.